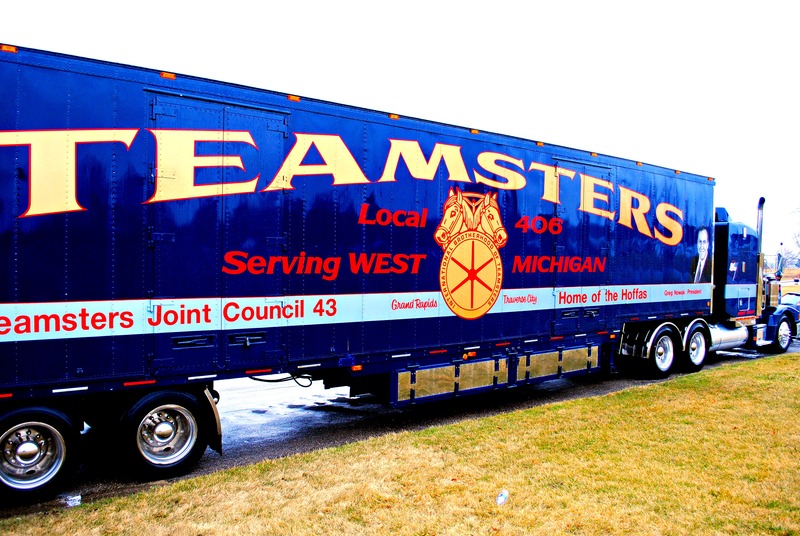 GRAND RAPIDS April 27, 2015– Just ahead of their May 7 union election, Teamster organizers working with employees at Sysco Grand Rapids are organizing a rally to show solidarity and support for the workers. The organizing workers recently filed a petition for an election to affiliate with Teamsters Local 406 and have been engaged in a tough fight against the company’s anti-union campaign. For the second time this month, organizers with Local 406 are holding a rally to support the workers. This week’s rally will be at Sysco Grand Rapids on Wednesday, April 29, from 1pm-7pm. Anyone in the Grand Rapids area who supports a strong middle class and dignity for workers is invited to attend. Shortly after the workers filed their election petition, the company brought in paid union busters to fight the organizing efforts. Organizers are hoping for a huge turnout from union members, religious leaders and community supporters, so invite your family, friends, co-workers, union brothers and sisters, and anyone else you know that has a passion for workers’ rights. WHEN: Wednesday, April 29, from 1pm-7pm. Click here for a flyer to print and distribute. This entry was posted on April 27, 2015 by WMALC in Events and tagged Grand Rapids, organizing, Teamsters.